Please contact us to book or get a quote. 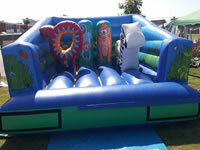 Our most popular and biggest slide, perfect for events, schools and fetes. 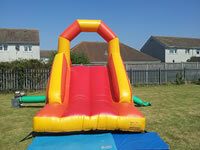 This slide is very popular to hire and is perfect for your event. 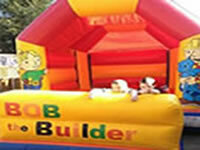 Don't forget you can also have this slide alongside one of our children's parties at a discounted rate. It's does what the name says! 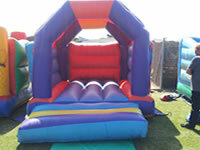 A perfect general bouncy castle perfect for all events. 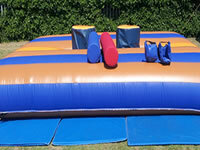 There is lots to do on this bouncy castle! 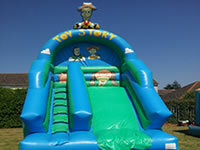 Great for children's parties and usually fits well in village halls. 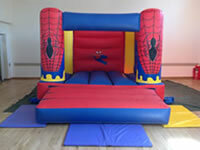 Perfect bouncy castle for all Spider-Man fans! This bouncy castle is sized 12x12. 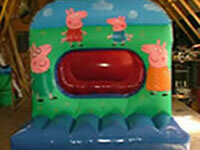 This inflatable is for under 5's only, great for little children! This inflatable has an undercover roof. 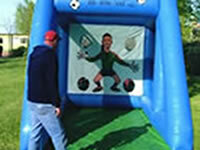 Fantastic inflatable for older children and football fans! Our popular barbie castle to available to hire and for events.